SALISBURY, Md. 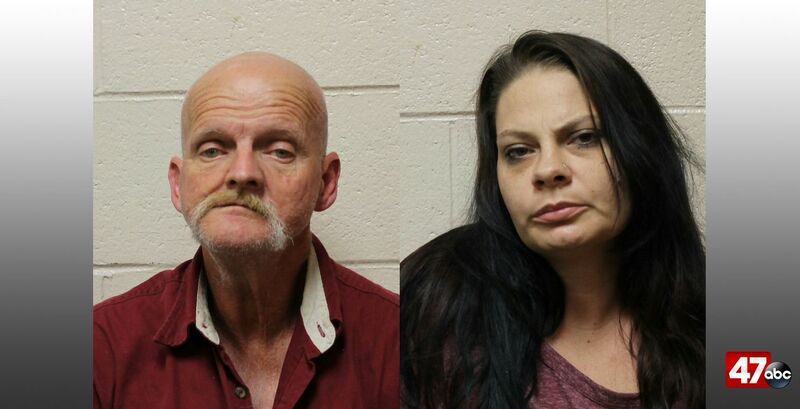 – A traffic stop led to drug charges for two during the early morning hours on Wednesday. A deputy from the Wicomico County Sheriff’s Office stopped a vehicle for a registration violation on N Salisbury Blvd, near E. Church Street, shortly before 1:30 AM. The driver, identified as 55-year-old Daniel Mullen of College Park, MD, reportedly told the deputy that he and his passenger, 32-year-old Melissa Ruppert of Littleton, NC, were on their way to Ocean City but had somehow become lost. Due to observations made by the deputy, a Drug K-9 was called to the scene to scan the vehicle. The K-9 alerted police to the presence of illegal drugs, leading to the discovery of crack cocaine, five smoking devices, and various examples of drug paraphernalia. Police say Ruppert was also hiding a smoking device in her bra. Mullen and Ruppert were arrested and charged with possession of crack cocaine and possession of drug paraphernalia. Mullen was later released on personal recognizance, while Ruppert was released on unsecured bond.